UPDATE: You can download the results here (EXCEL file). This page is no longer valid. Please contact us at SAA for any inquiries. Schools and clubs you can register via downloading this entry form. 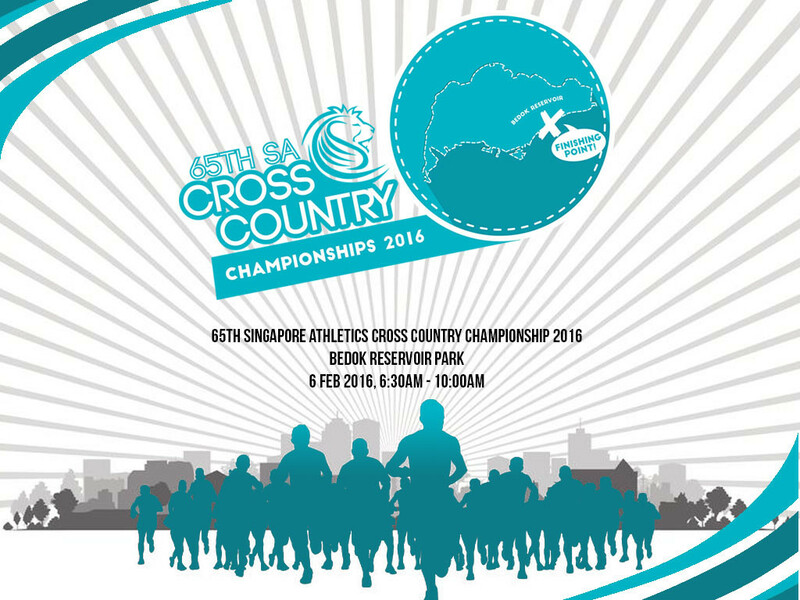 Closing date for registration will now be 31 January 2016 , 2359 hours. Participants who have already signed up through the registration portal need not sign up again through the entry forms. High performance athletes, the above pertains to ActiveSG facilities and services. SA gym at HOA will still be open during CNY period. 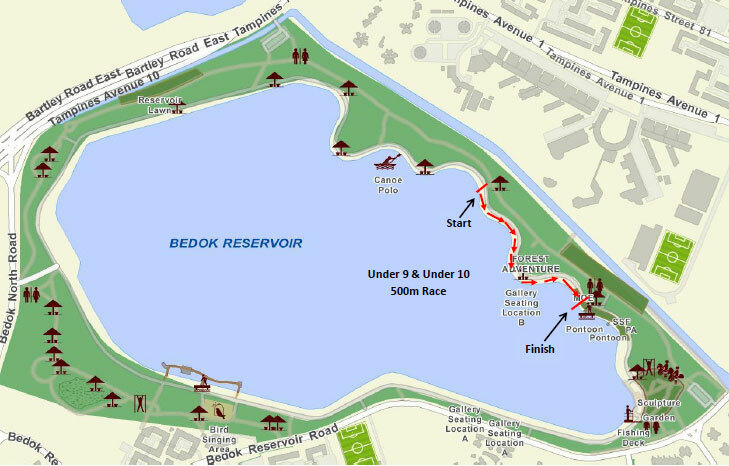 28 Mar - Team Singapore results posted. 26 Jan - Page posted. 2015 starting height: 4.20m for men and 2.80m for women. Selection is based on Selection of Overseas meet for 2015. 25 Apr - Results posted. 7 Apr - Schedule uploaded. 25 Jan - Page posted. 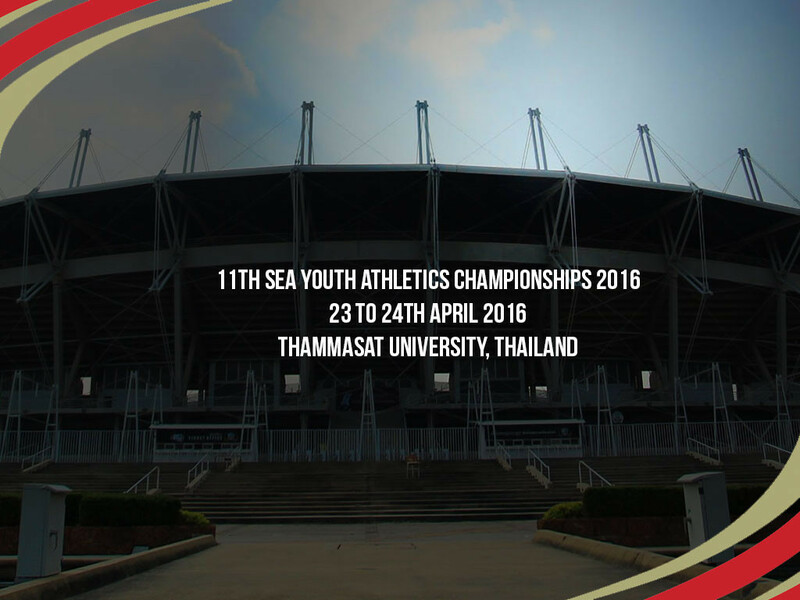 a)	Athlete has to meet 3rd placing of SEA Youth 2015 (See below qualifying mark table). 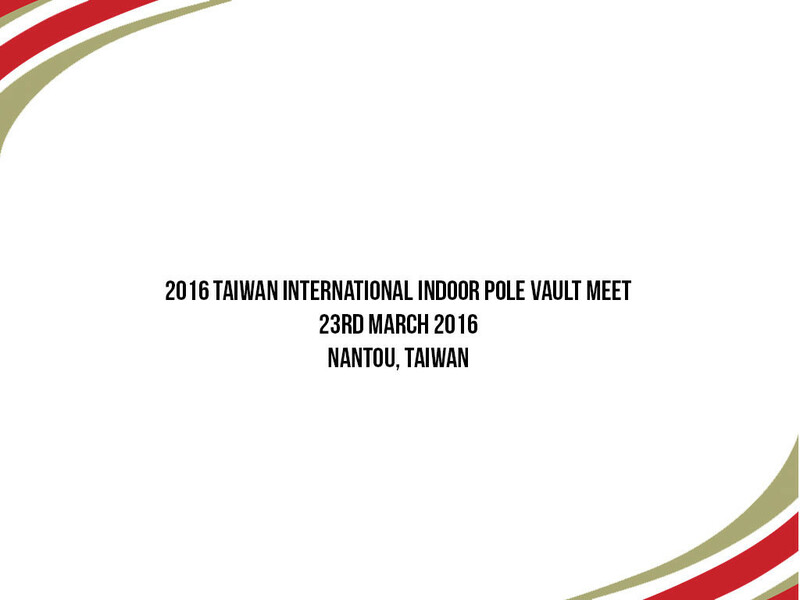 b)	Athlete who met the qualifying mark will be nominated. c)	If only 2 Athletes per country are allowed per event and more than 2 athletes meet the qualifying mark, the top 2 ranked athletes according to the qualifying window period from Jan 2016 – Mar 2016, will be nominated. 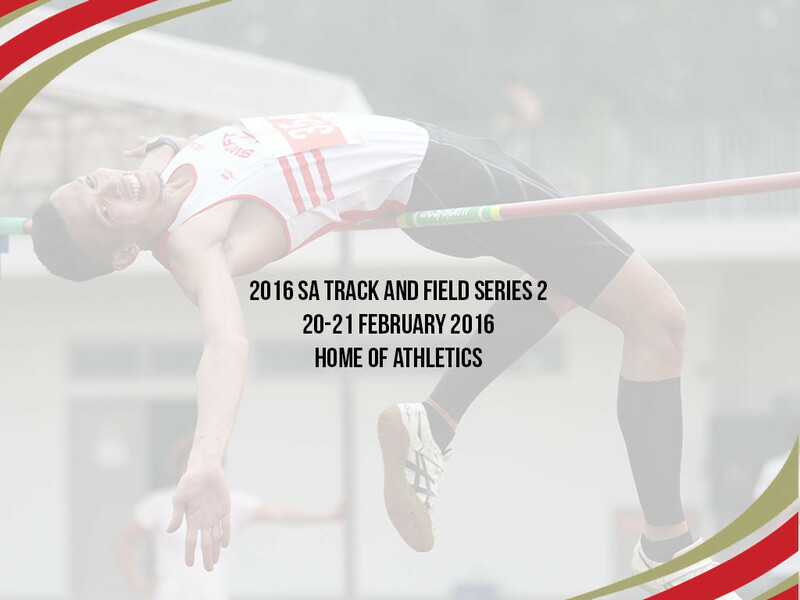 d)	All SAA sanctioned competition results from Jan 2016 – March 27 2016 (or up till Singapore Youth & Juniors C’ships) will be considered for nomination. f)	SAA reserves the right to drop any qualified Athlete if the Athlete is deemed unfit to perform at a competitive level. g)	Relay selection will only be finalised once the team is formed. **Qualifying marks for 1500m (boys and girls), 3000m (boys and girls) and pole vault (boys and girls) is based on past editions or our selection benchmark for Youths. Triple Jump Boy – 13.00m. Triple Jump Girl – 11.00m. 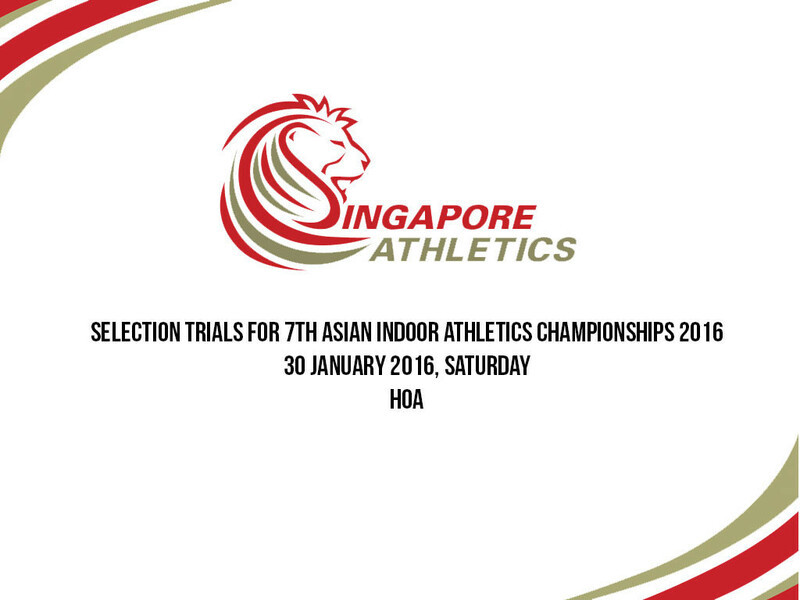 Singapore Athletics will be organizing the final trial for Asian Indoors on 30 Jan 2016 (Saturday). Please see the schedule below for the events. High performance athletes we will need a confirmation if you wish to participate in the trials. Email your interest to SAA by 27 Jan 2016, 12pm. Also we would like to congratulate 4 athletes who have met the qualifying marks at Series 1. SA will submit the names to the Training and Selection Committee for their approval.